Welcome to Planet Electropolis. Where modern technology meets robust old fashioned style. Come see why more and more shoppers are leaving the automated mega-giants behind and returning to conduct business with real, breathing people and genuine live customer service, again. Tired of pushing number after number just to speak to a real person? Automated mega-giants are nothing more than mechanical storefronts designed simply to take your money and pump out product. A place where robots answer the phones and respond with pre-scripted lines when you have a question and most times you will leave frustrated while your questions remain unanswered. Welcome to the world of the living! We're eager to assist you in making your purchase with us today. We understand your time is valuable and you don't want to spend it trying to convince a robot that you need to speak with a person. We're alive and prepared to help you to the best of our ability, before, during and after the sale. Robots can't feel your frustration when your product fails one day after the warranty ends. We're real people! We do feel your frustration - and we care. We're consumers too! We expect a basic level of service and product reliability just as you do. Your complete satisfaction is the bottom line by which we measure our success. Robots and automated mega-stores don't care if your having a problem getting your product to work or that you may actually need technical assistance after the sale. At Planet Electropolis we're not pre- programmed with canned responses or pre-scripted answers. We will address all of your questions and concerns as a person, with a real human being on the telephone and at the keyboard. Imagine that! Real human interaction! You are our #1 priority and the foundation of our business. We pledge to work for you. Offering you top quality name brand products and merchandise, low prices, and great deals. That's why we're here. When you're completely satisfied we know we've done right by you. That's a great feeling! With hundreds of satisfied customers, nothing says job-well-done better than another happy customer. PlanetElectropolis doesn't have any items in their booth! 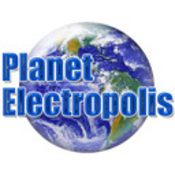 PlanetElectropolis is the REAL DEAL! From beginning to end, the customer is always #1! Professional, honest and best of all… HUMAN! You will always be supremely satisfied with their superb service! THANK YOU!